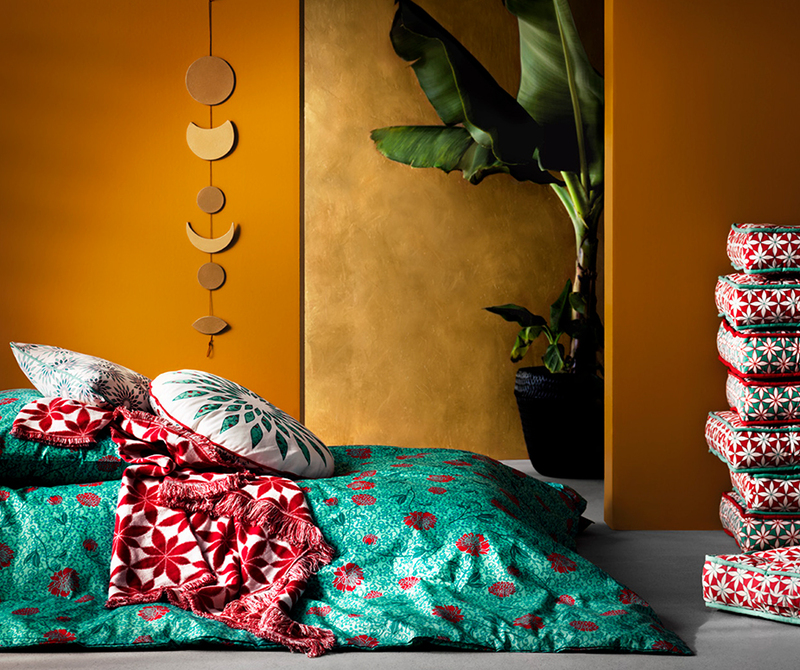 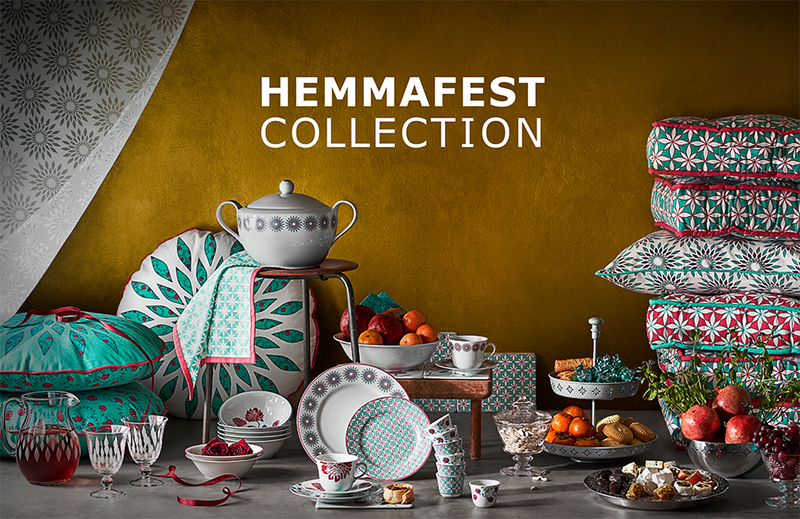 The HEMMAFEST collection is inspired by Arabic art where floral patterns are prominent. 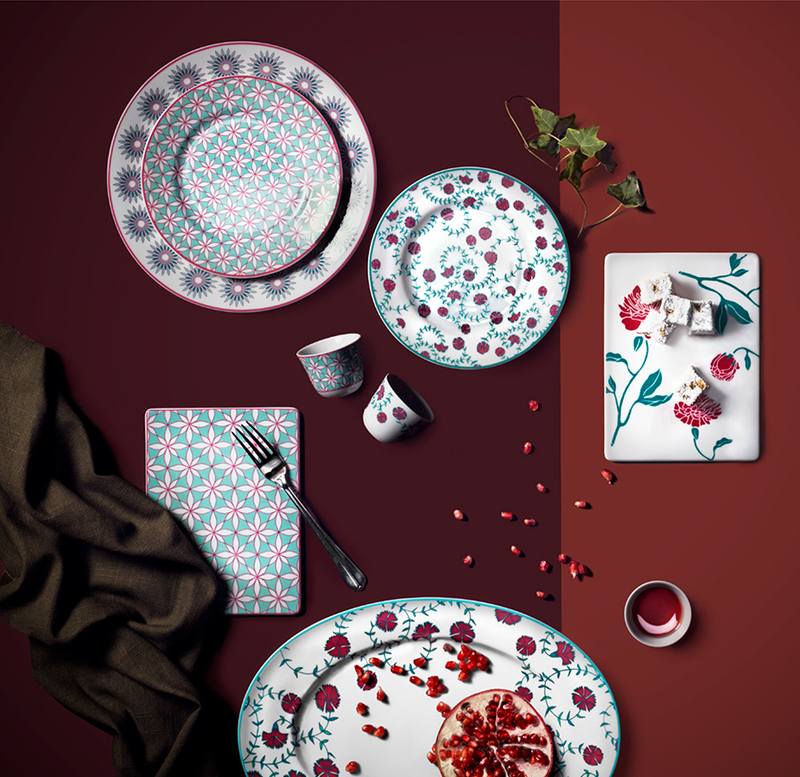 All parts fit together so you can combine your favourites however you want. 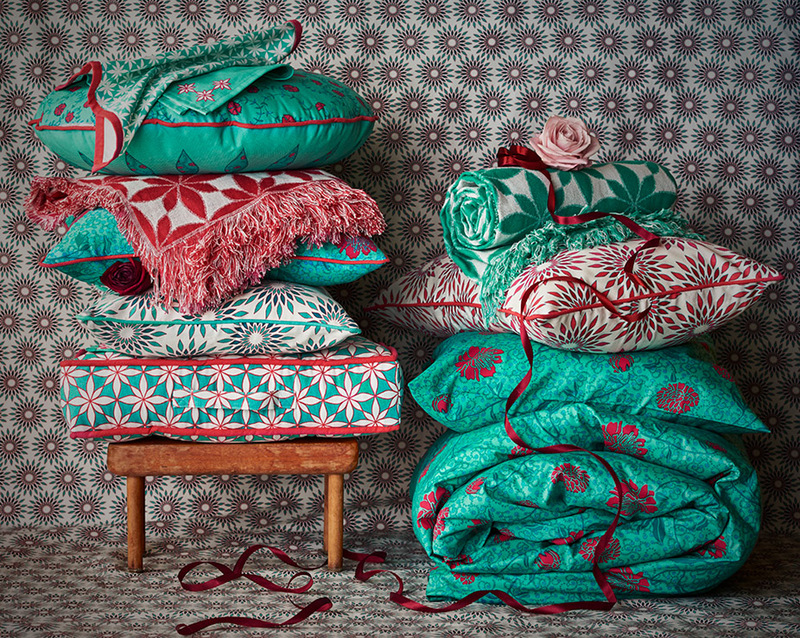 Lots of my rich textile patterns on cushions, bedding and throws. 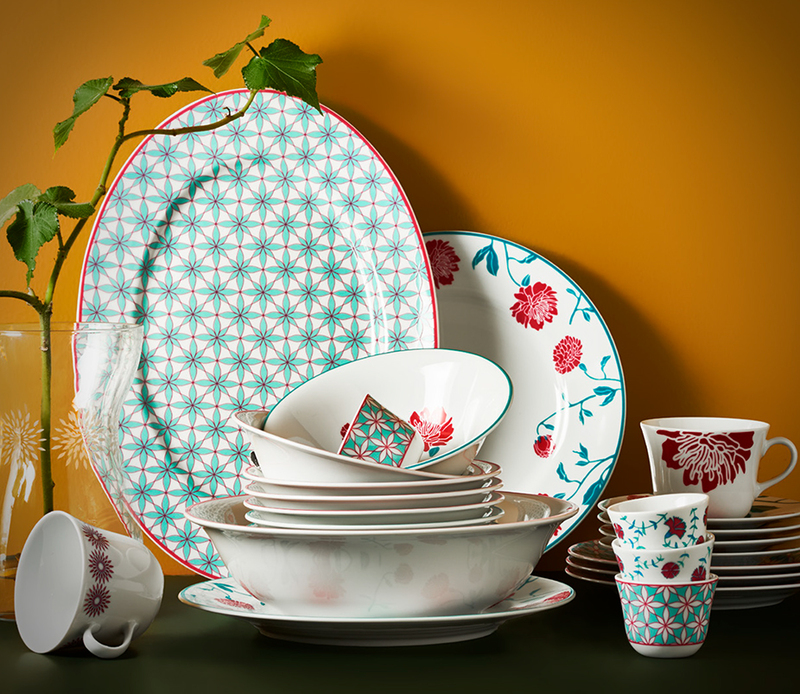 And tableware! 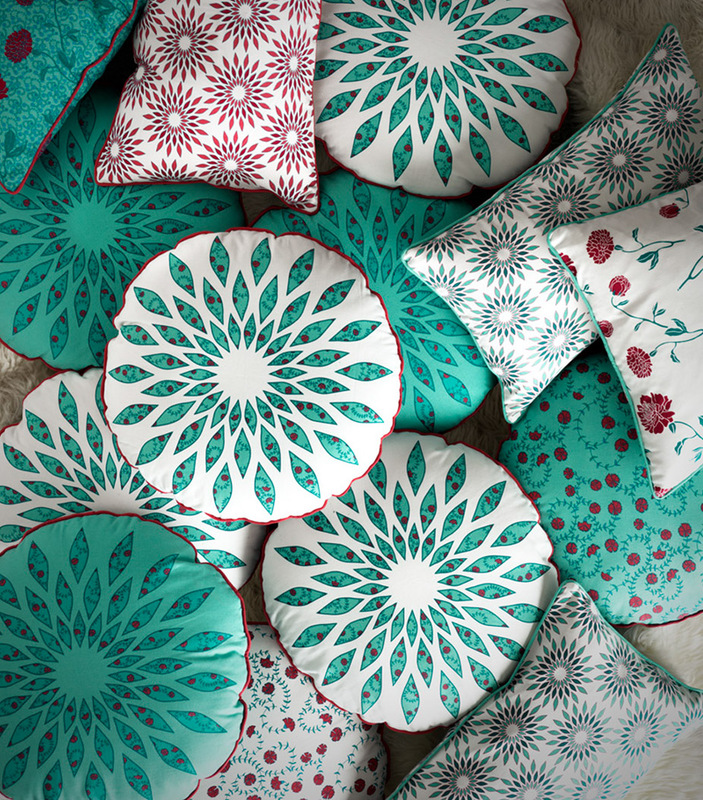 Here I designed a geometric floral pattern and an organic floral pattern that you can combine in anyway you choose.